If you look at closely at the woman standing by herself, you may catch a glimpse of ink etched into her skin, evidence of her years in the military—adventures and travels shown in colorful detail. Mountains rise from her left arm in watercolor patterns just below her shirtsleeve, symbolizing her first unit as a Coast Guard officer where she spent two and a half years on a ship stationed in the Pacific Northwest. At just over five feet tall with light brown hair and green eyes, she is petite with a muscular build. A medium-sized dog accompanies her everywhere, wearing a vest patterned after the American flag, white stars embroidered on a blue background. Patches sewn on the vest declare “Service Dog,” “Do Not Touch,” and “Disabled Veteran.” Perhaps you look the woman up and down, checking for a prosthetic limb. When you don’t find one, you might assume she’s training the dog for a veterans’ organization. Or maybe you conclude she put a vest on her pet as a way to bring it with her to public places. If you thought any of those things, you’d be wrong. Under her clothes, a small manatee is inked in black on her left ankle, for the friends she made at military college. A loggerhead turtle swims along her right ribs in shades of green, a memento from her first patrol on a Coast Guard cutter. She spent nine weeks onboard the ship working in the Engine Room supporting counter-narcotics missions across the Pacific Ocean. Cherry blossoms bloom above the blue wind-swept skies on her left shoulder, a tribute to her childhood in Northern Virginia and memories of family trips to the Tidal Basin to watch the petals fall like pink snowflakes. A stylized orca on her left ribs for the whale-watching trip she took with a shipboard roommate, an emblem of the quiet acceptance of her bisexuality, at a time when it was still taboo in the military. A pin-up girl poses on her right lower leg, a foot in high-heels propped up on an old-school diving helmet—tattooed on the day she graduated from Navy Dive School. What you won’t see illustrated in ink are the panic attacks and the crushing feelings of an overwhelming weight on her chest, the recent divorce, and her daily struggles. Following her on social media, you might think she lives a privileged life: working as a ship design engineer, lifting weights in the gym, and backpacking with her dog. 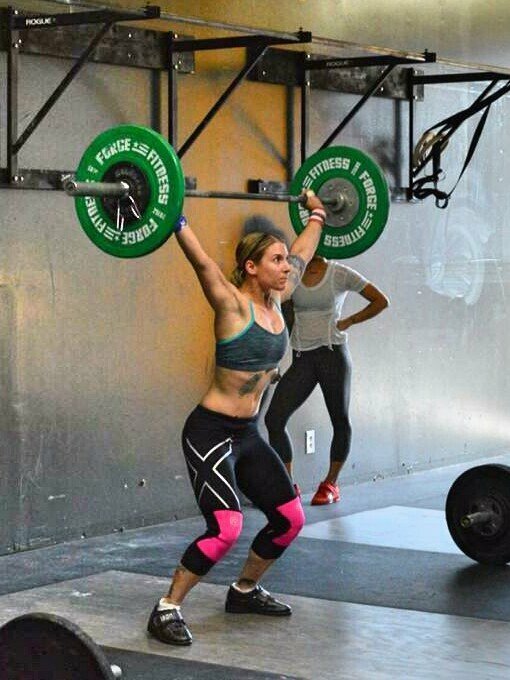 At her best, she can throw her bodyweight onto the barbell and lift it up into the air. But her best happens less and less frequently these days. Some weeks she can’t lift more than the empty bar over her head without feeling a muscle twitch with pain, signaling an oncoming migraine. 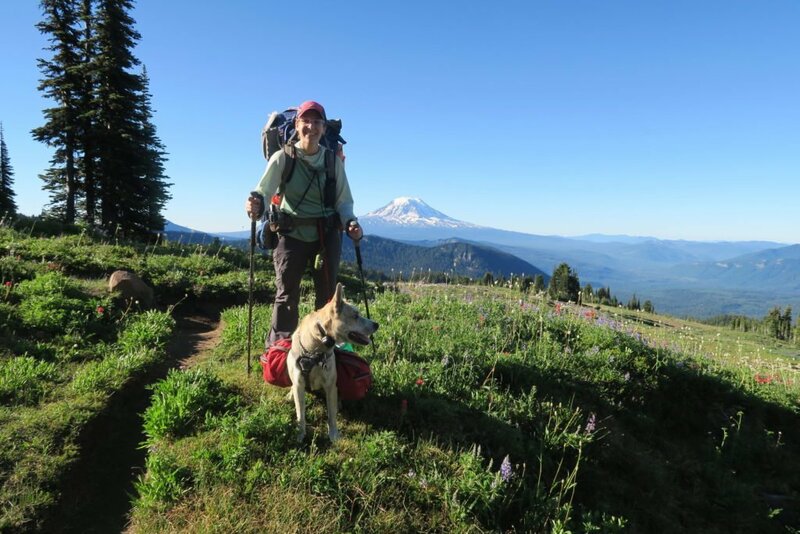 She chooses to hike in the backcountry for days alone with her dog because she finds it difficult to trust people, and her dog is supportive and reliable. When she walks the mountains with her mutt she feels completely in control of her life. They are a team, watching out for each other on the trail and in town. If you look through her medical record, you might understand her better. X-rays show early-stage arthritis in her neck. MRIs tell of bulging discs and narrowing spinal canals. Her Veteran Affairs medical record details Post Traumatic Stress and chronic migraines from years of sexual harassment, sexual assault, and discrimination. 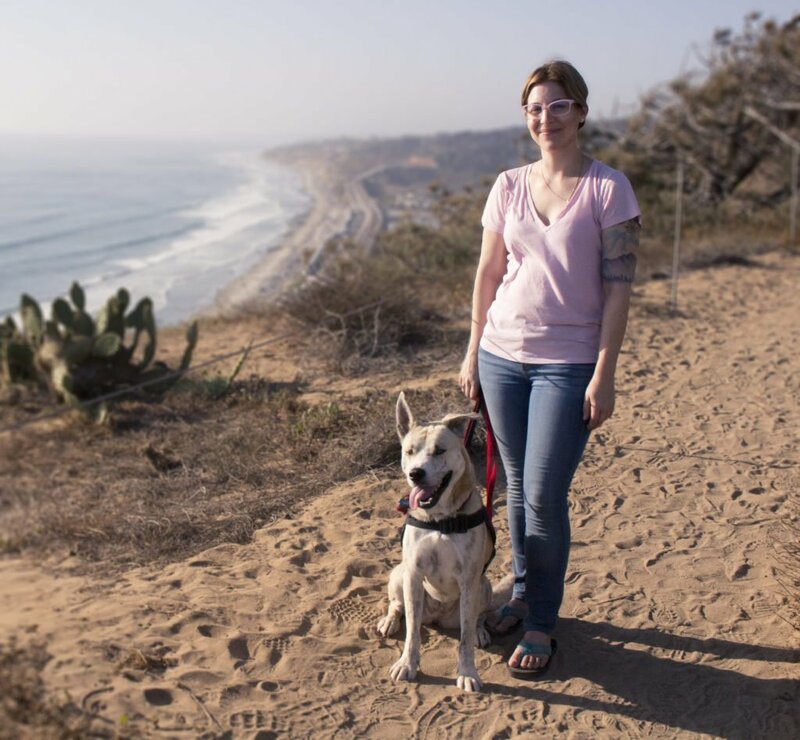 It lists the medications she takes: naproxen for pain, propranolol and triptan for migraines, escitalopram for depression and anxiety, and a prescription for a Medical Alert Service Dog to assist with Post Traumatic Stress. What the VA records don’t show are the bi-weekly chiropractor visits and weekly acupuncture sessions she needs to reduce the severity and frequency of migraines, decrease her reliance on pharmaceuticals, and manage near-constant pain. 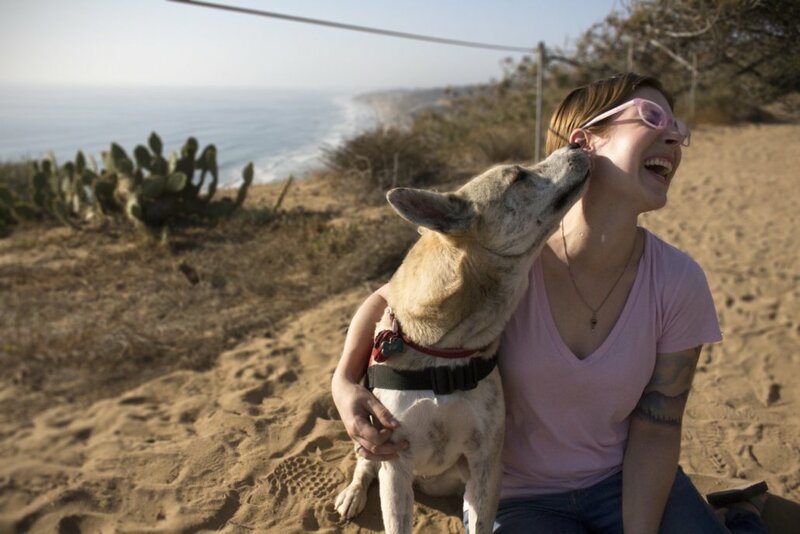 When people see her with her Service Dog, they sometimes ask if the dog is a disabled veteran. It frustrates her that their minds are more readily able to picture a fifty-pound mutt serving in the military than a young woman. She considers removing the “Disabled Veteran” patch from her dog’s vest in order to avoid those awkward questions, but decides against it. She faced discrimination then, and she can handle the presumptions now. She is proud of her service, and doesn’t regret it, regardless of the invisible injuries it caused. She wants everyone to reevaluate their idea of what makes a veteran, because this is what a disabled veteran looks like.